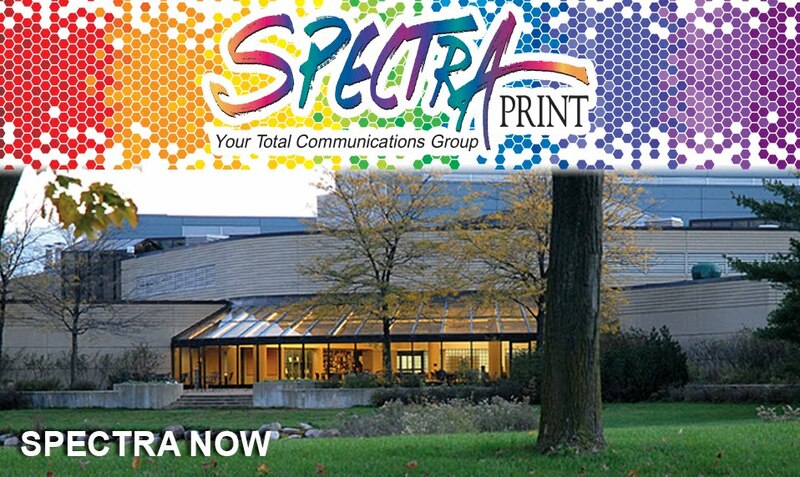 Spectra Print is pleased to announce they will be among the nearly 100 businesses attending the 2011 Portage County Business Council Expo. The event will be held on Monday, February 28, 2011, from 12:00 noon - 5:00 p.m at the Holiday Inn & Convention Center, Stevens Point, WI. What could be more important to an area business owner than spending an afternoon of networking and business building? Find out what's new in the marketplace and help keep your business dollars in the area. Four top-of-the-hour mini-sessions will be held on the Expo floor. Stop by the Spectra Print booth, #208, and find out how to show your customers just how smart your printing can be. Do You Really Need Another Reason To Attend? How about an awesome giveaway … like maybe the chance to win one (1) 8GB iPod Touch? 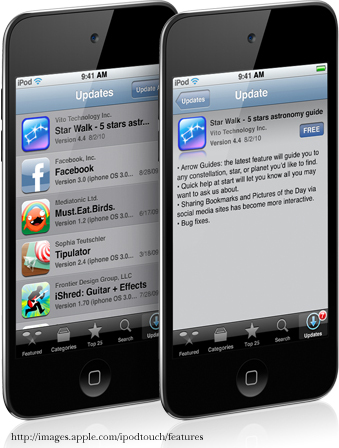 This is the hottest addition to the iPod family with new features such as FaceTime video calling, Retina Display for crisp viewing, HD video and camera. 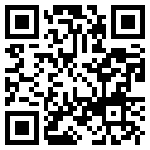 Perfect for scanning QR codes. 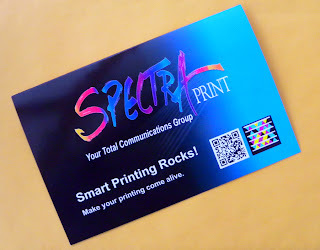 To qualify, drop off your business card at the Spectra Print booth #208 for your chance to win. The drawing will be held at 4:30 p.m. on Monday, February 28, 2011. While you don't need to be present to win - your business card does. Stop by our booth - we will be happy to discuss the possibilities and benefits of Smart Printing. You won't be disappointed. We've Made Business Cards Smart! With the recent advent and expanded use of QR codes and other mobile tags, it's now easier than ever to have smart business cards. 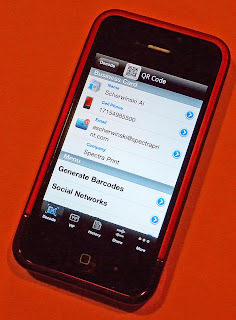 Business cards printed with your personal contact information are made smart with the addition of a QR code directing your contacts to your company web site or blog as well as a QRV code to transfer your personal contact information. These are just two ways to upgrade your business card. With a QR reader installed on a mobile phone, the images on your business card are instantly scanned and the information decoded as a link to a web site or in the case of the QRV code, your personal information. It really is easy to be smart. Contact us for other options. 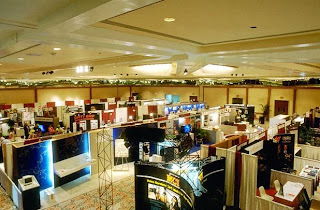 In our last post the topic of discussion was creating a booth environment that would give you an edge at your next show. No one needs to tell you that your booth establishes your show presence and is the central element of how your company will be perceived. Take a step back, so to speak, and look at your booth from the other side of the aisle. When considering your booth, Spectra Print's Marketing Director Al Scherwinski says, "An effective booth is one that conveys your company's product accurately, quickly and what benefit it brings to potential customers." Then a booth filled with nothing but text won't grab anyone's interest, but a photograph will. The use of photography should be a key element of your booth; showing your customers your "product" (even if the product is you! ), matching the photography to the brand and conveying the intangible is best left to another post, one we will cover in the near future. Someone once described their decorating style as "Early Halloween." While it may be a amusing description for a family room, it shouldn't be the way customers see your booth display. Professional graphic artists are a necessity for insuring your booth will look professional and convincing. A good graphic designer can take your concept from a piece of paper and turn it into a compelling design that clearly conveys, in 30-seconds or less, what your products are and what they do. There are many other factors to consider such as working chairs into the overall design of your booth so they are a part of the display and not a distraction. If you have product demonstrations or products that will be physically on display, you will need cases or a countertop to show them. Panels with laminates as an option or stand along acrylic cabinets can be integrated into the design. Anyone can put together a show booth with a company logo, a couple of photographs and a stack of brochures and business cards. Creating a show environment that commands attention involves professionals with a solid strategy to help level the playing field.